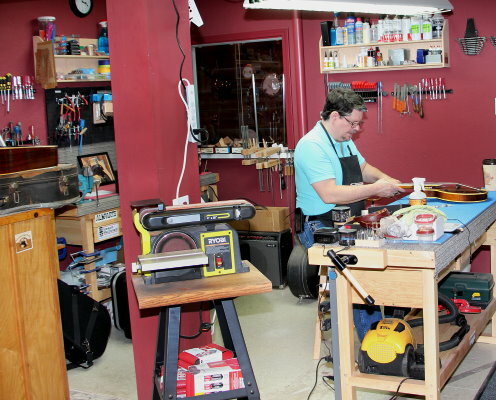 We set up and repair stringed instruments including both electric and acoustic guitars, basses, banjos, mandolins, autoharps, dulcimers and more at our Tulsa shop. 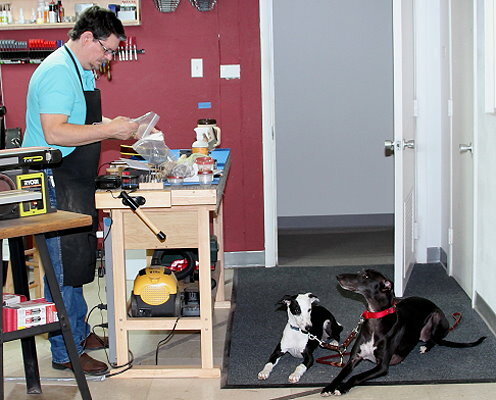 With over 25 years of experience working on instruments, you can trust that you re in good hands with Rick and Running Dogs. We treat your instrument as if it were our own. We will happily set up your instrument to maximum playability and sound. Did you buy at a big box store or online, where the instrument came straight out of the box without proper setup? Or do you just want a fresh setup on a favorite instrument? We can help. 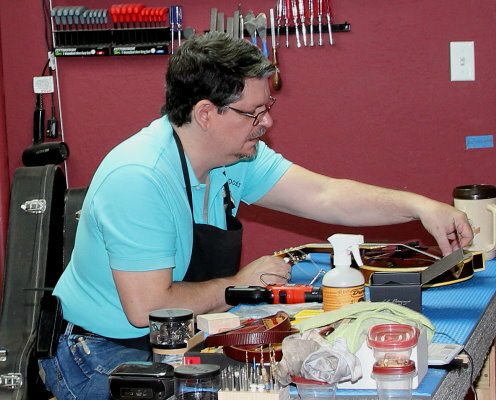 To contact Running Dogs Music about stringed instrument repair, set up, and certified warranty work, please call Rick at (918) 630-6264 or Rick@RunningDogsMusic.com. 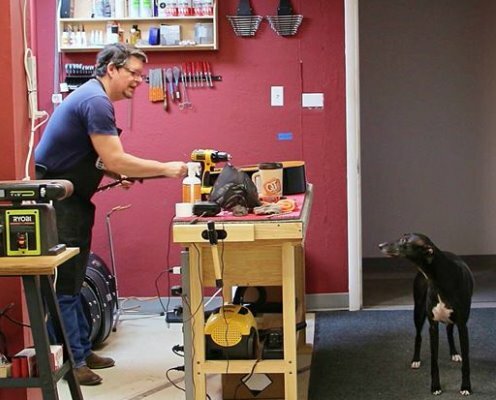 Rick in the shop with Running Dogs mascot Keaton. We repair almost all stringed instruments. We have a complete workshop for all your repair needs.